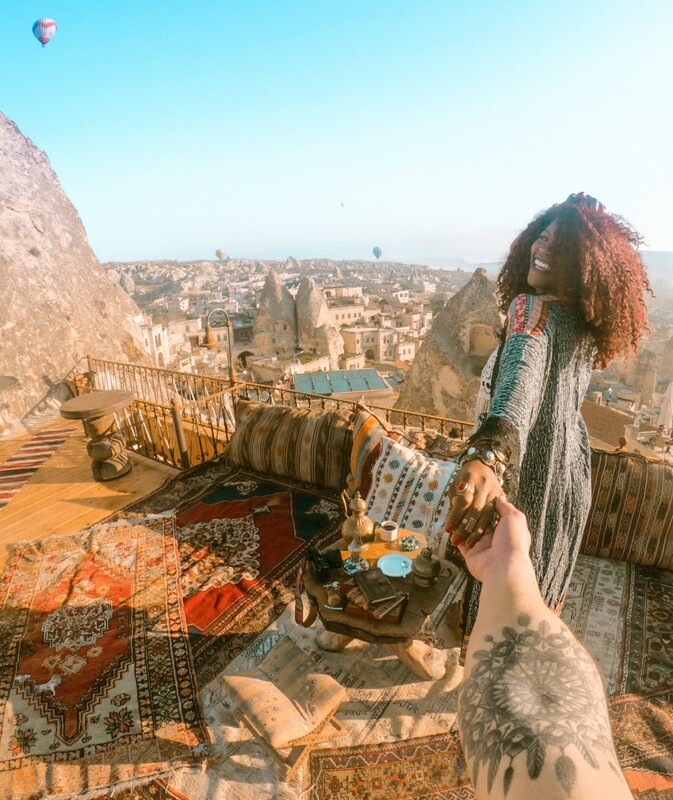 This Turkish town has blown up in the last decade thanks to Instagram, and though you may come here for the photos and picturesque scenery, you’ll end up leaving with friends, fun memories, and a newfound appreciation for Turkish culture. 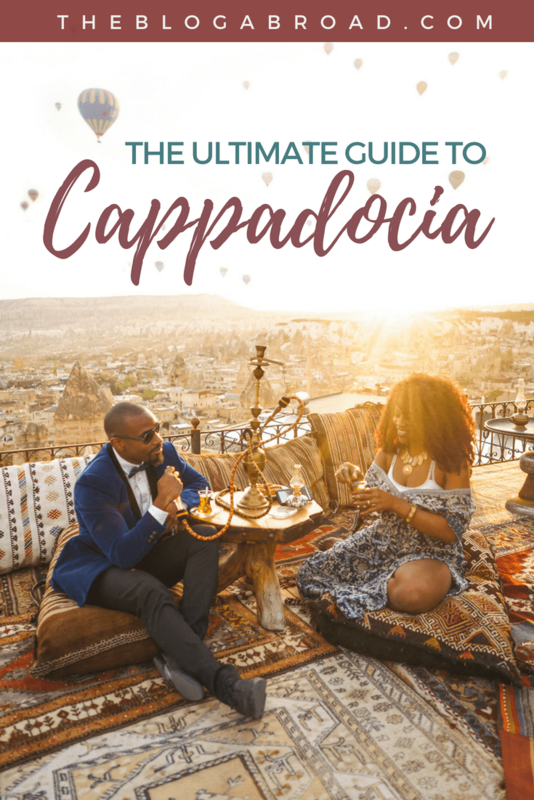 Cappadocia is a place you could easily stay 3 days or 3 weeks and just take your time getting to explore its varied landscapes and villages, but most impressively, watch the sunrise as 100+ balloons fill up the sky every, single morning that the weather permits. One of the most common questions I got about Cappadocia is, “When does the hot air balloon festival occur?” and every time I would pleasantly surprise people by letting them know that the photos of hot air balloons aren’t from any particular festival. 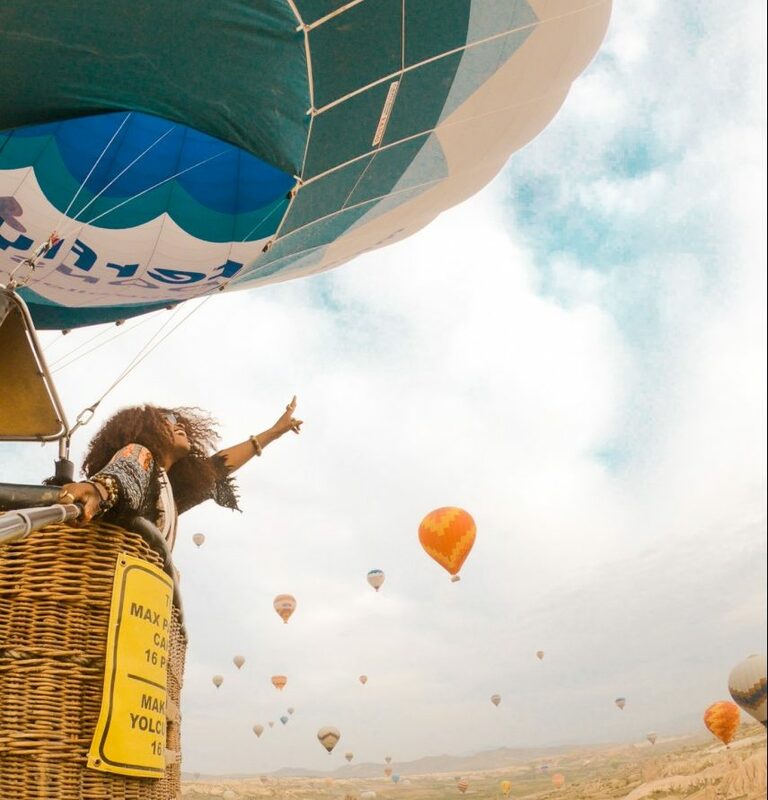 This is simply a tourist attraction that people come specifically to Cappadocia (Göreme) to do, and if you get the chance to, I highly recommend going with Butterfly Balloons, because the views from above don’t compare to anything else you’ll ever see in your life. 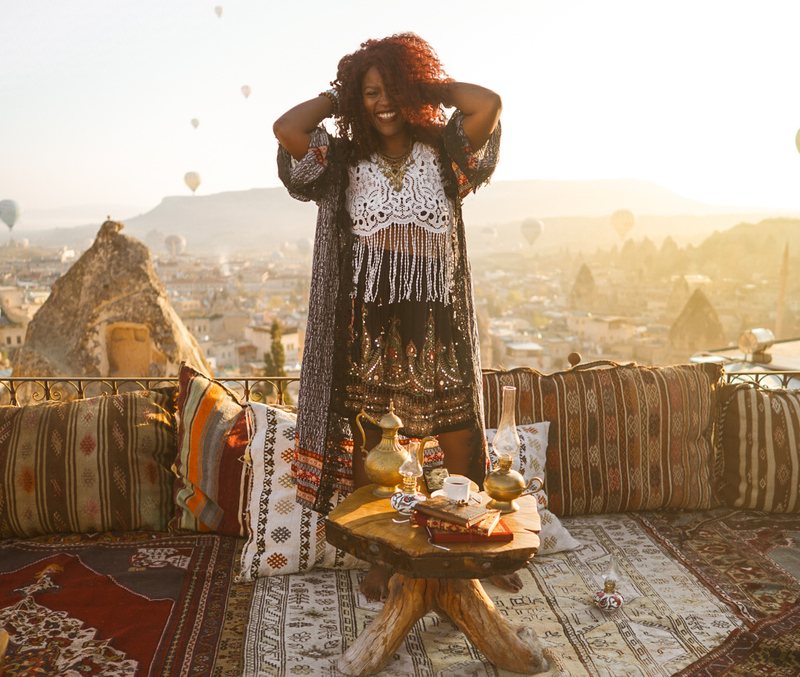 Another thing to note, is that while most of Turkey is conservative, especially when it comes to dress code, consider Cappadocia (Göreme) a town of its own, and you can feel comfortable wearing shorts, skirts, dresses, or whatever you normally wear back home. I went in late March/early April and it was still fairly chilly during the night and reasonably warm during the day, so I mostly wore long skirts, sundresses, and loose-fitted clothing. If riding a hot air balloon is high on your list of things to do while here, you want to try and travel between the months of April to June or September to October for the least likely chance of rain. Unfortunately, there are some people who come to Cappadocia for only two days for the balloon ride, and both days it ends up raining, so they end up leaving without ever doing what they came for. So try and come for at least three days to allow for some flexibility with the weather. 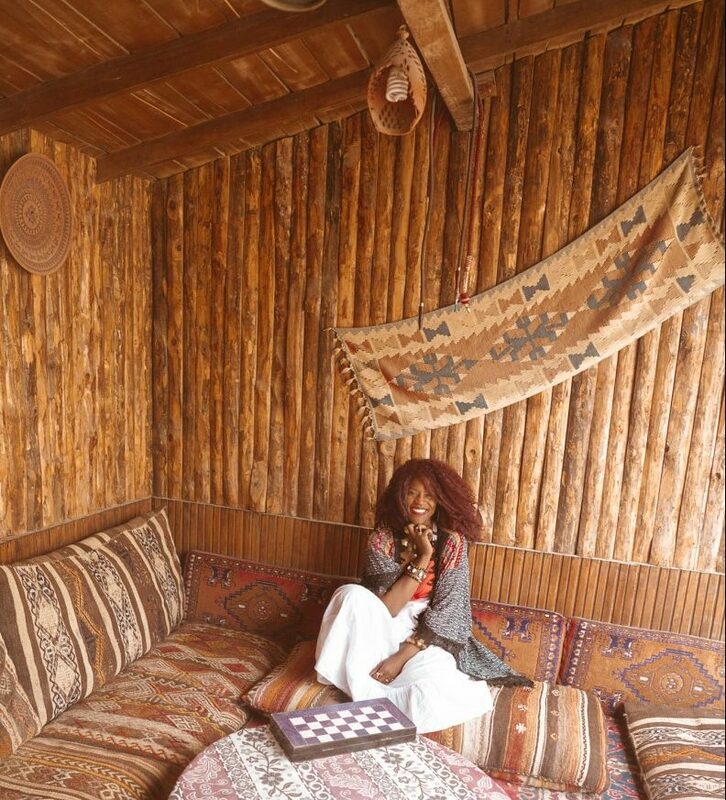 One of the most special things about Cappadocia is the unique experience of staying in a cave hotel. I have my top 3 choices to recommend, and if I were you, I would make sure to book in advance, because these places are likely to fill up first! I rated these places based on a combination of the breakfast, rooftop terrace views, hospitality of the staff, and comfort of the room. As a full-time traveler, it’s rare that I meet people who work in hospitality that turn from friends to practically family in a matter of days. The entire staff at Koza Cave took me in as family and I will forever be grateful. Not only do they have the highest terrace in all of Cappadocia, but they keep their place small to maintain an intimate feel. Samed, one of the coolest guys I know, is the main guy running this place, and you’ll see him helping set up your rooftop terrace shots, helping check you in, giving rides into town, or inviting you to the fireplace on the terrace with his friends. He does it all and will make your stay 10x better. If you follow a fair amount of travel bloggers/influencers on Instagram, chances are you’ve seen a rendition of this photo before. 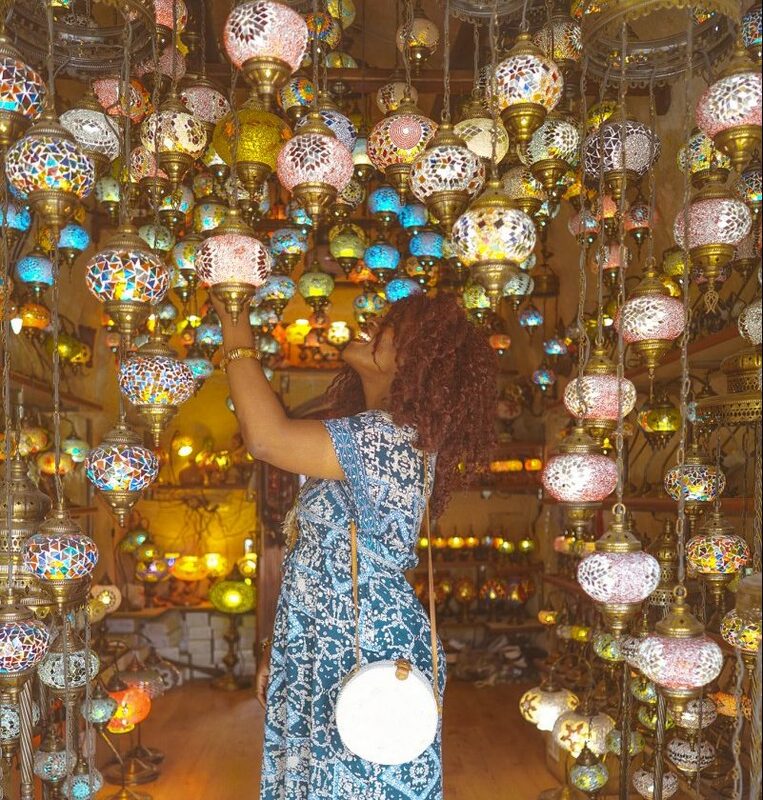 Sultan Cave Suites is as magical as the photo looks and if you get a photo with Izmir, the true star and boss of this place, then consider yourself lucky, as she doesn’t get paid enough to sit around Instagram models all day, haha. Mehmet is the guy to know at this place. He’s pretty much the most well-known and connected person in town and is the only person Izmir listens to. Get on his good side and prepare for his sense of humor. He’s a joker, but has a big heart and definitely makes your time at Sultan more enjoyable. My new BFF, Izmir. By the way, she has 12,000 followers on Instagram. Pretty standard, ha. The Local Cave House is my third recommendation because it offers such a unique experience, with this gorgeous pool and backdrop to take photos with. 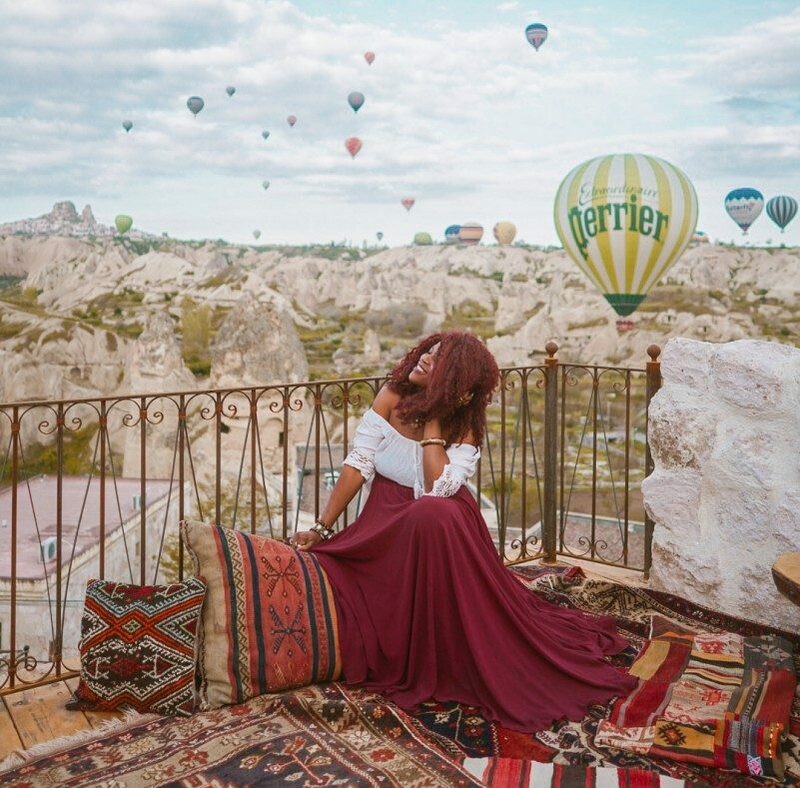 Cappadocia is a photographer’s dream and though you won’t get the terrace views like you get at Koza or Sultan, you can kick back by the pool and enjoy the warm weather away from the hustle and bustle of the morning crowds of everyone fighting to get a perfect Instagram shot. Their rooms are exceptionally large, and if you book a larger suite, their bathroom is a treat! One of the stops on the ATV tour, Çavusin! If you’re an adventure junkie, an ATV/Quad tour is a must! You get the opportunity to explore the other valleys (like the Love Valley, don’t look it up before you go, because it’s better as a surprise) and different villages and local areas. But if you’re curious and want to ruin the surprise, click here and read the caption, LOL. ATVs have their own off-road paths, so you get to have a little fun drifting, but it’s just a great way to spend an afternoon in general! Prices are competitive, and there’s a local named Serdar who will help sort out your booking if you hit him up! Send him a WhatsApp and say Gloria sent you +90 553 204 05 95. 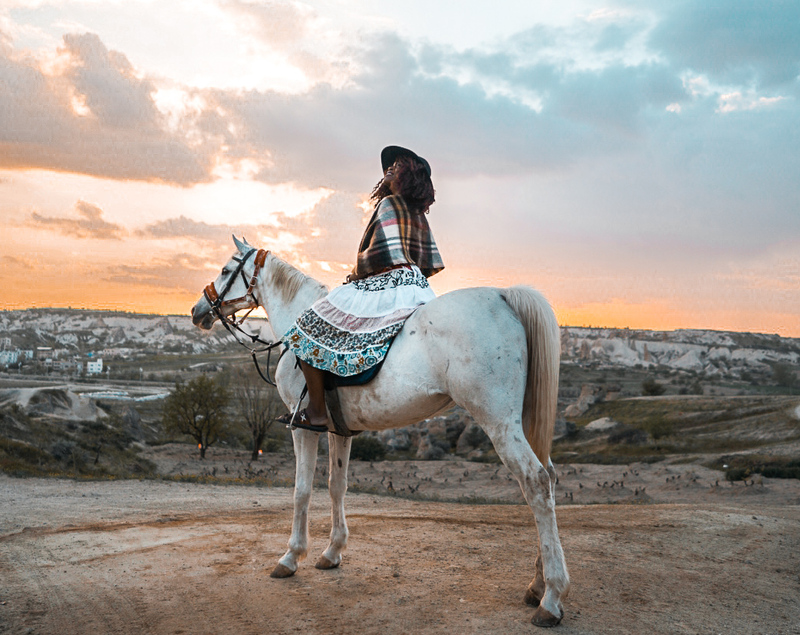 Cappadocia means “the land of beautiful horses”, so I found the most beautiful horse in town Princess Cappadocia, and took her for a sunset ride. The horses all look healthy, well-tended to, and it’s such a relaxing way to spend an afternoon whether solo or with a friend. You can customize your booking, and again, Serdar will help sort you out! Like I mentioned above, riding a hot air balloon is often the most popular activity in town, so make sure you come for at least three days, just in case two of those days the balloons are canceled due to weather. Rain is so unpredictable in March, so you really want to aim for the summer months to ensure good weather. Butterfly Balloons has a couple different options for booking, and getting a spot in advance is recommended because rides fill up DAILY! In a town of 2,000 people, you learn that everybody knows each other, and if you ask for directions to walk to a place, they’ll just call the owner and the owner will pick you up instead. That’s how small it is! Cappadocia is like one, big family and you truly feel the spirit of togetherness as you get to know them one by one. This insta-famous family-owned carpet shop called Galerie Ikman is one I’ve visited seven times or so. And each time, I got to meet a new family member and they all shared the same fun sense of humor. And when you go there, please support them and pick up a scarf, ring, lamp, necklace, plate, carpet, or one of the thousands of gorgeous things they have for sale. One of the downsides to mass tourism is people taking advantage of someone’s else’s property for the sake of a photo opp. Don’t be rude. If you go there for a photo, leave a tip, or pick up a small item to support them. This might seem strange, but if you’re not getting offered tea at least three times a day, you’re not socializing enough. Every single day, I was having tea at least seven times with different locals, shop owners, or random people on the street. This town is so small, that when someone recognizes you a second time, consider your tea to already be poured. 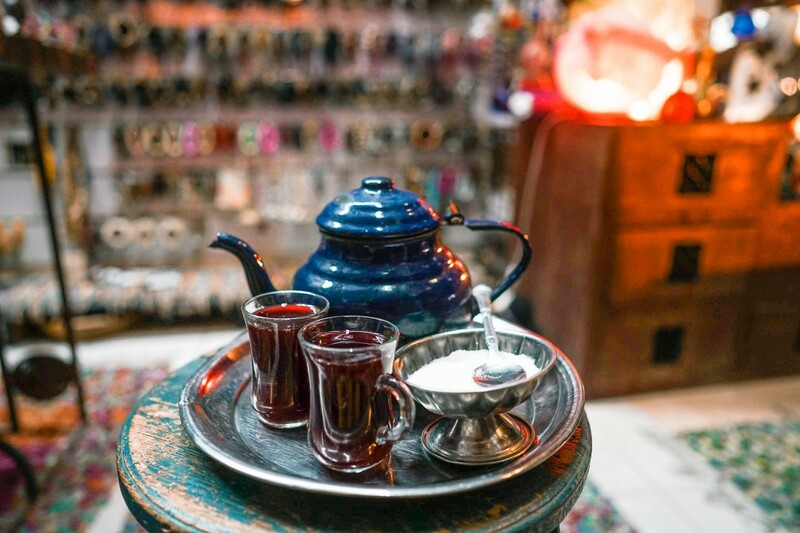 The tea culture here is so comforting, and some of the best conversations are had over a cup of sugary Turkish delight. If you want to taste the best tea in the world, ask for the apple flavor and prepare to never want to drink anything else ever again. You know that Turkey, one of the most magical countries in the world, is sadly having fewer people from America visit. These are actual sentences pulled from the U.S. Department of State Bureau Consular Affairs. This “travel advisory” is something people actually adhere to under the notion that it’s 100% factual and current. As if the U.S. doesn’t have a mass shooting every 48 hours on its own soil. How is America so afraid of international terrorism, when we have domestic terrorists roaming freely with assault rifles every day? You tell me which is the scarier reality. People fear the unknown, and it saddens me how many people will never give Turkey a chance, because of something they heard or read 5 years ago. 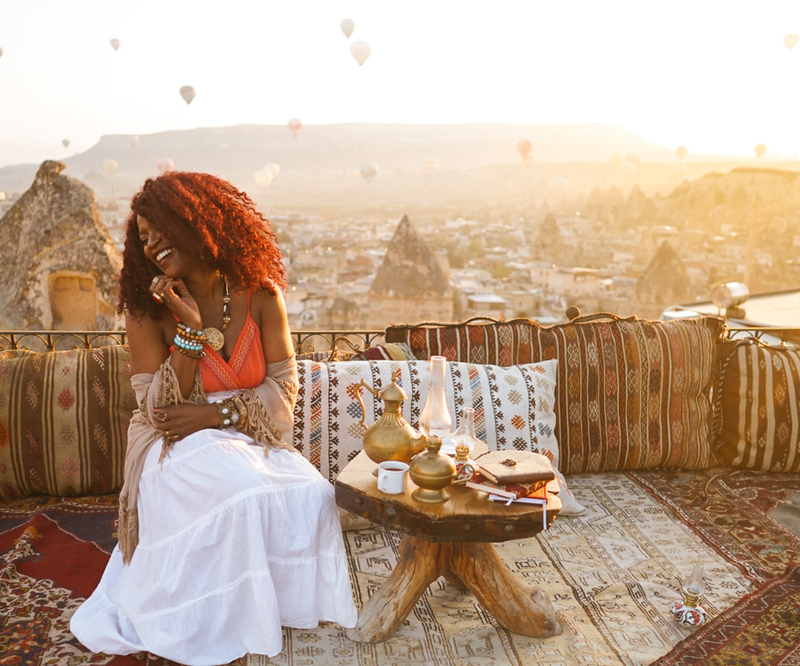 So whatever fears you’ve had about traveling to Turkey, I dare you to explore them. Is the fear rooted in ignorance? In people who’ve never been themselves? Again, safety is subjective, but Cappadocia is such a small yet microcosmic representation of the vast beauty that can be explored in this country. And your naked eyes deserve the chance to see it up close. 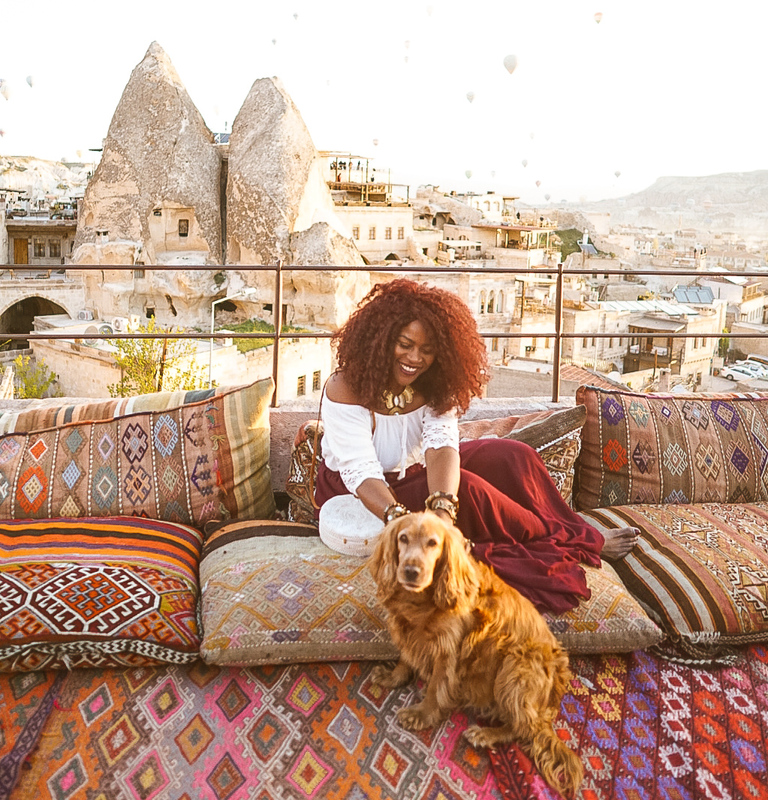 I could easily see myself coming back here every year to escape the big city life and relax in a warm, welcoming, and scenic town like Cappadocia. So until then, I’ll be counting down the days of my return. Next post: Top 10 Ways to Gain Weight While You Travel – Results Guaranteed!